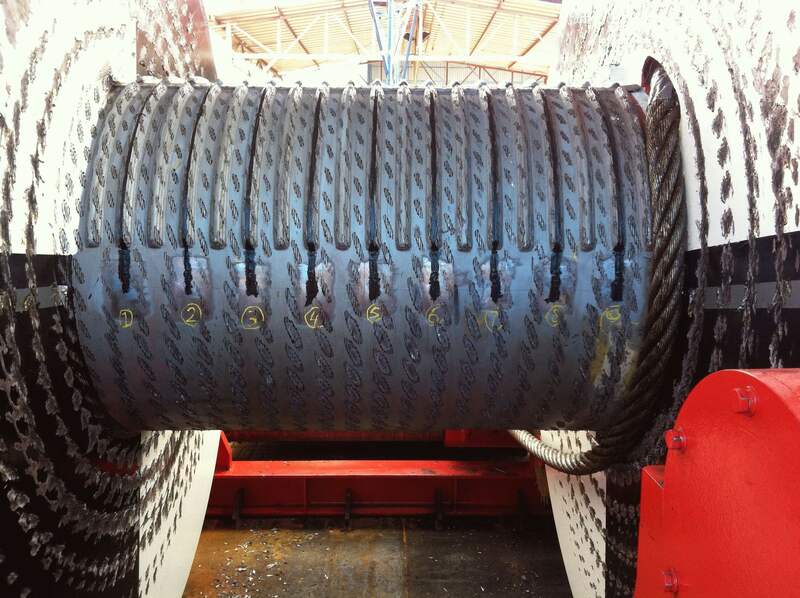 Static calculation, stability and buckling checks were performed to guarantee a successful transfer under high sea conditions. 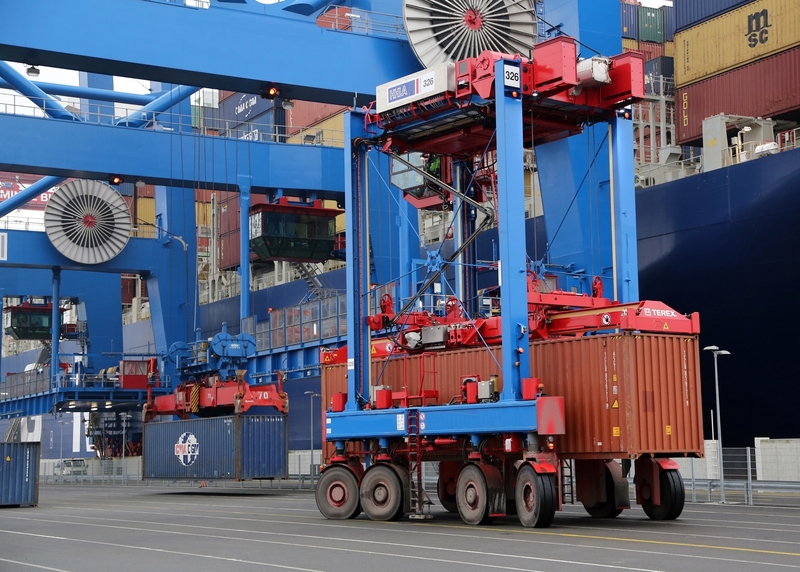 The structure of STS cranes (Ship To Shore cranes) can withstand high hoisting loads but for the side accelerations due to the barge motions, transport reinforcements are necessary. The relevant barge motions, accelerations, and rotations (are calculated for different sea states with different equivalent wave heights and different wave directions. The heavy roll, pitch, sway and heave motions can only be withstand with diagonal bracings in the gantry construction and heavy seafastenings to the deck. Checking of all the seafastening components as well as limiting the stresses in the gantry structure was necessary for a safe journey. 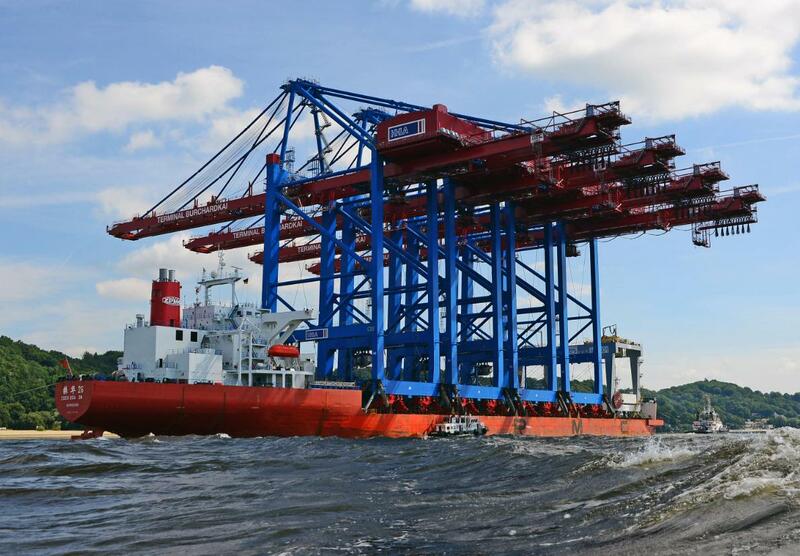 Because of the thorough planning and the quick calculation procedure, both cranes were safely transported to Amsterdam. The encountered extraordinary heavy weather conditions caused some delay but did not cause any damage.